my obsession with chef marcus samuelsson began about a year ago when i read an excerpt from his memoir (yes, chef -- highly recommend) in vogue magazine. in the vogue excerpt, he wrote about how at one point in his life, his view on dietary restrictions changed. here's the little bit from yes, chef : "heart-healthy symbols on menus are commonplace now. in the early nineties, it was practically unheard of even in finer hotels. i was a cocky nineteen-year-old at the time, and back then i dismissed the guests who asked for special menus as finicky or unadventurous, not real eaters. but stocker's example nurtured my respect for guests with unique dietary needs and for chefs as smart businessmen." love. beyond having an incredibly interesting life story, chef samuelsson is a food genius. so after i read the memoir & pored over his website, i knew red rooster, located in the heart of harlem, was on my must eat list in nyc. "red rooster serves comfort food celebrating the roots of american cuisine & the diverse culinary traditions of the neighborhood." sign me up. but before making reservations (or just arriving around a meal time), i did a little research. 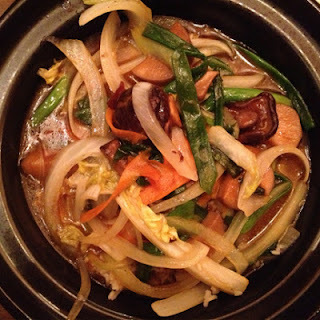 chef samuelsson's facebook page is often littered w/ vegetarian & vegan-adaptable recipes. and a quick google search led me to a 2011 post on his website about always having a vegan option available on the menu. i hoped this practice was still in effect ... and so off we went. sadly, chef samuelsson was in chicago while i was in nyc -- of course! apologies for the blurriness ... it was raining & i dropped my phone while taking the photo. oops. beautiful nonetheless. 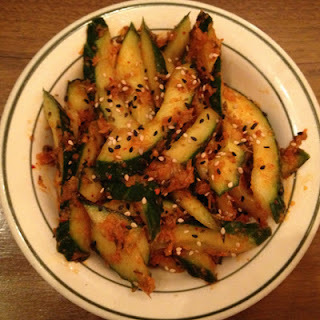 slightly pickled (we thought) & packed w/ spicy flavor. a great, light little "snack" & the perfect way to start the meal. basmati rice & vegetables. no egg. for me & my less-than-sophisticated palate, this dish was indescribably good. literally, i tried and tried, bite after bite to place all the delicious flavors i was tasting. curry? coconut? this plate was simply a perfect blend. i could eat this every.day. mixed berry, pear & guava. 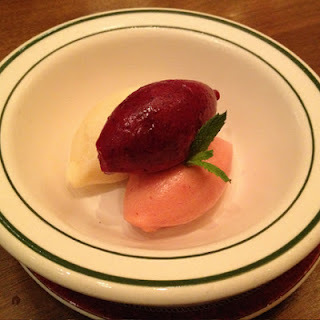 the mixed berry sorbet was the definite favorite between the my friend & i.
next came the pear. pear sorbet that actually has pear texture? how is this possible? delicious. and the guava? sweet, a little sour, overall fresh & lovely. it's a good thing chef samuelsson wasn't at the restaurant that night, because i had a prime spot for viewing the kitchen. and had he been, i would have probably keeled over with excitement. but that was okay. i loved watching the rest of the kitchen team move about the kitchen, effortlessly & perfectly plating dishes. 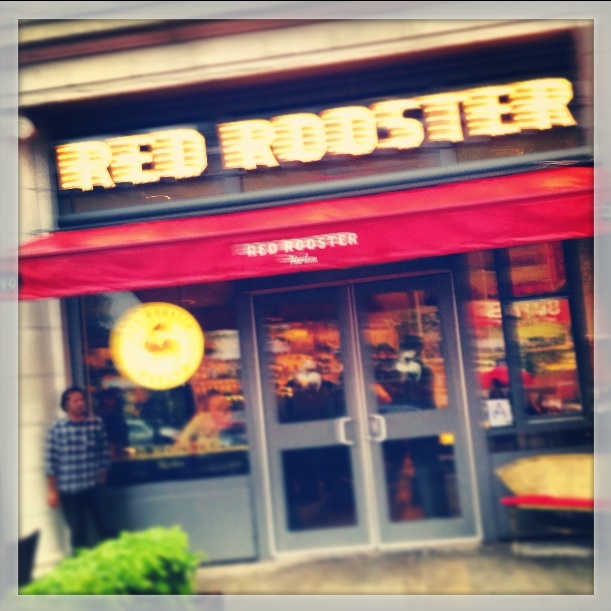 red rooster is by far the coolest place i have ever been my life. the atmosphere & overall dining experience are like nothing i've ever been apart of. live jazz, fantastic cocktails & a completely unique design make red rooster an absolute favorite for me. i can't wait to go back.